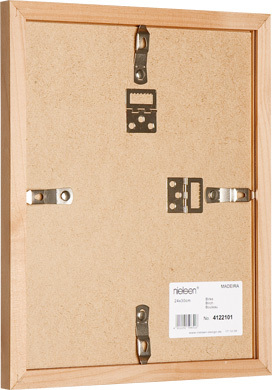 This painted light wood frame is supplied with fixings (4 metal clips, 2 hangers) that give you the freedom to hang either horizontally or vertically. Just remove the mdf back and insert your picture. 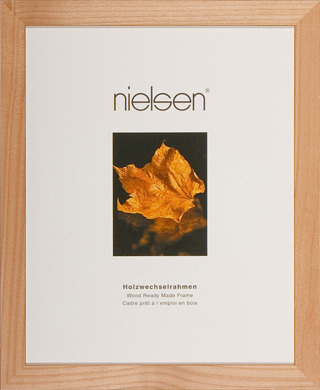 This light wood frame has been designed to fit A4 (210x297mm) size pictures making it perfect for presenting certificates and awards. 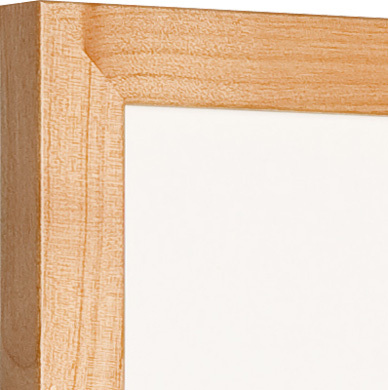 The stylish wood moulding has a 21mm face width and is 7mm deep. 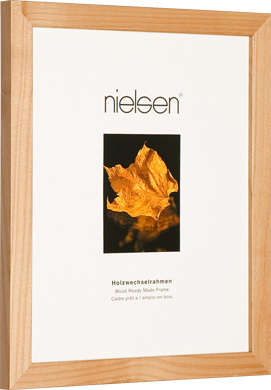 Nielsen Bainbridge have a proud history driven by the highest standards in product design and production quality. Their extensive collection of beautiful off-the-shelf frames offer both value and quality.